Epithelioid sarcomas (ES) are rare forms of cancer that affect soft tissues in the upper limb. It is seen in the fingers, hands, and forearms of young adults, but it can also appear in the legs, trunk, head, or neck regions. The condition is known to affect men more frequently, and it often starts with a painless and firm growth or a bump with an open wound. ES is an aggressive type of cancer because of its high recurrence rate after treatment, as well as its tendency to spread to surrounding tissues. Epithelioid sarcomas have been previously misdiagnosed of its similarity with other inflammatory conditions in its initial stages. In two studies, experts found the length of time between the onset of ES to its actual diagnosis took 29 months and 18 months, respectively. In the U.S., it accounts for less than a percent of all soft tissue sarcomas. Epithelioid sarcoma is difficult to diagnose, given its tendency to be confused with other diseases which have similar symptoms. To effectively diagnose the condition, procedures such as magnetic resonance imaging is used, as well as a biopsy of a sample for analysis. Initial symptoms include the formation of a firm to hard palpable mass in the hands or forearms. These will ulcerate, which can be mistaken for a wart of a poorly healing wound. While the tumor grows slowly, it is painless – only 20 percent of patients reported pain or tenderness in their ES. As it compresses the nerve, muscular weakness and numbness follow. The condition has no risk factors, but some report an external injury or trauma as a possible factor. Genetic factors are can also be considered; however, these are still under research. The condition affects the extremities, but can also be metastasized in other areas as well. The risk of epithelioid sarcomas, and other tumors, in general, can be greatly reduced with proper diet and exercise. In particular, the following food items may help in the prevention of tumors. Curcumin, the main active ingredient in turmeric, is known to inhibit tumors in the breast, colon, and the prostate, as well as other organs. Mangosteen contains xanthones that are known to reduce the likelihood of tumors. Supplementing with fish oil has been known to suppress tumor growth, based on animal tests. The polyphenolic compounds present in green tea is potent against certain tumors. Milk thistle has silymarin and other flavonoids which can prevent tumor growth in the bladder and prostate. A polysaccharide-rich compound in noni juice helps fend off tumors as well. Finally, studies have shown that Reishi mushroom extracts can prevent colon tumors, according to mouse studies. The excision of an ES growth is the most common treatment option available. In some cases, the affected limb may need to be amputated depending on the severity of the condition. Another option used in concert is radiation therapy to reduce the risk of recurrence. Chemotherapy, while sometimes used, can be less effective in ES. Epithelioid sarcomas are rare forms of cancer that affect soft tissues in the upper limb. The condition is known to affect men more frequently, and it often starts with a painless and firm growth or a bump with an open wound. 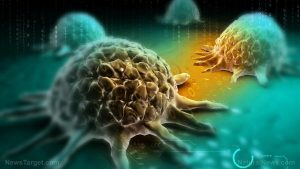 ES is an aggressive type of cancer because of its high recurrence rate after treatment, as well as its tendency to spread to surrounding tissues.